Properly shaped and trimmed eyebrows frame your face and improve your appearance. While using tweezers to get rid of eyebrow hair is common and simple, tweezing can cause significant discomfort and irritation. Evaluate effective alternatives to tweezing before you choose a method. Base your choice on the amount of money you are willing to spend, the sensitivity of your skin and the degree of permanence you desire. Wax your eyebrows with a home eyebrow waxing kit or visit a salon for a professional waxing. Waxing involves applying hot wax to the desired area, then placing a strip of cloth on top of the wax. The strip is ripped off, against the direction of hair growth, to get rid of eyebrow hair. Home kits are available at most grocery stores and pharmacies and cost as little as $25. Use a razor to shave off unwanted eyebrow hair. Shave eyebrows with or without shaving cream, and always use a clean razor to prevent infection. While shaving is quick and easy, it is difficult to get clean brow lines. Be aware that results last only days and razor contact with the delicate skin near the eyes may cause irritation and shaving bumps. 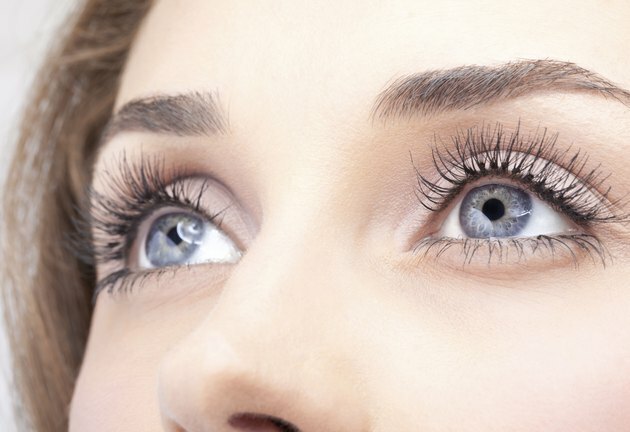 Find a salon that offers eyebrow threading. Threading works in a way similar to tweezing, but it removes multiple hairs at one time. The aesthetician twists thread around a group of hairs, then pulls it sharply in the direction of hair growth to remove hair at the follicle. Threading produces a straight line and results last for several weeks. Visit a dermatologist to undergo electrolysis on your eyebrows. Electrolysis involves administration of an electrical current directly to the hair follicle to render it inactive. The unwanted eyebrow hair then falls out. Electrolysis is typically expensive and the procedure can cause scarring. Repeated sessions may be necessary, but in most cases, the results are permanent.